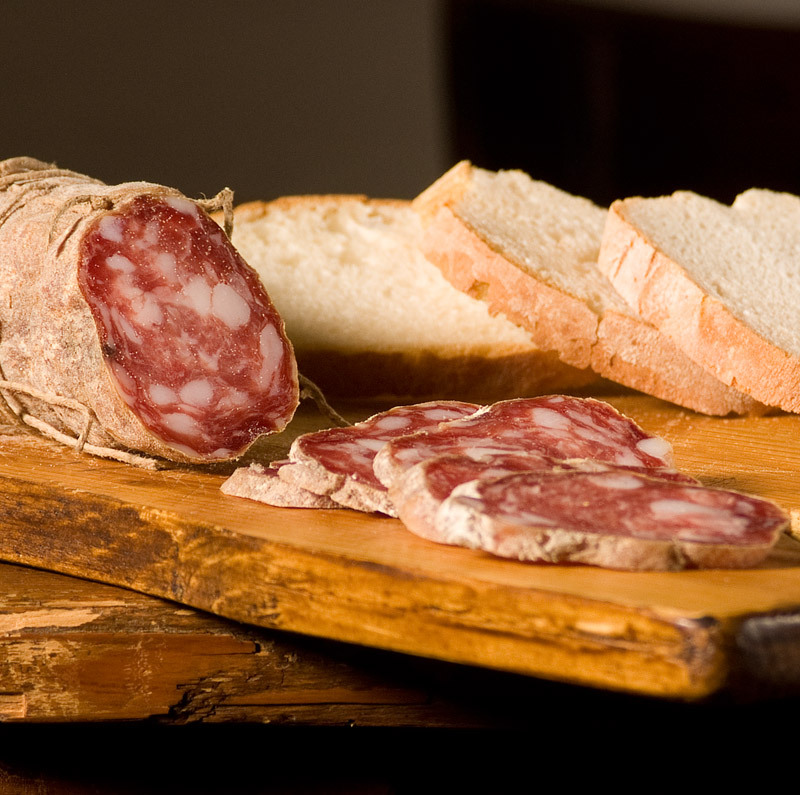 This salami was already famous in the 15th Century in Milan and Lombardy region. In 1700 the cold cuts from Piacenza had been exported to France and Spain thanks to a very able diplomat: the Cardinal Giulio Alberoni. In spite of his several tasks and plans, his continuous matter of concern was not letting salami Piacentini miss from Queen Elisabetta Farnese’s table, because they were her favorite ones. 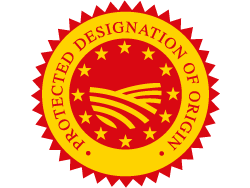 The Salame Piacentino PDO is produced in the Piacenza province territory using the lean meat of porks coming from Emilia Romagna and Lombardy. The lean pork meat is mixed with the fat which comes from lard, throat, and belly. Meat is cut in little pieces and then is passed through a grinder. Grinding texture dimension varies from 10 and 18 mm, respecting the tradition which prescribes a big textured product. Then, this paste is processed dry with salt, black pepper, garlic and a spice mix before putting it into the casing. The salami, tied with the twine, is pierced and subjected to the drying process in environments with controlled temperature and humidity. The seasoning stage follows and lasts for at least 45 days. In spite of fasting and abstinence times, the abbeys monks, who had tilled the territory of Piacenza at the beginning of the second millennium, during feast days enjoyed eating good, especially pork meat, which they saved in the shape of sausages today we know as salami.